Some fans like movie remakes, and some loathe them; love ‘em or hate ‘em, redoes are here to stay. 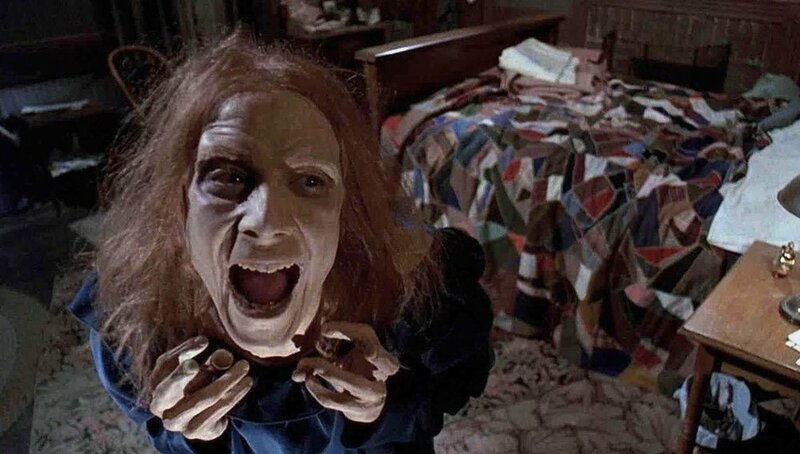 Recently, some people decided to remake Stephen King’s Pet Sematary. You are either a fan who thinks the original movie was creepy and amazing, or you thought it was downright cheesy - there’s hardly an in between. And then there’s the book, which is easily one of the best pieces of horror fiction to date. Here are the top 5 changes in the new movie versus the original that may make you either very happy, or extremely annoyed. SPOILER ALERT! While she didn’t play a huge role in the original, Missy was responsible for teaching young Ellie Creed about what happens when the cat needs to be neutered, more specifically when he gets his “nuts cut.” Ms. Dandridge brought a humanizing feeling to the story; despite having a tragic ending herself, she helps to develop the characters and makes the viewer care about what is going on. Unfortunately, Missy is left out altogether in the remake and there was hardly any supporting cast available to help set the scene. Showing that this is a family of people who interact normally with others, makes what happens later on even more disturbing. One of the most exciting things about a remake is the prospect of new technology making scary characters even more terrifying. The original Zelda is already one of the scariest characters in movie history, but imagine her with some fancy CGI? The spine-twisting possibilities are endless. However, she just was not very memorable in the remake, and she doesn’t give proper chase in her final scene, which is very disappointing. The original “never get out of bed again” sprint toward the door where Rachel is standing is nothing less than horrifying. Instead, the new movie focused on a dumbwaiter and it’s creaking noises in the walls. It’s hard to leave out Zelda as she is such an integral part of the story, but even the directors were worried they couldn’t live up to the original - maybe they should have went with their first instinct, and tried something else. In the original movie, Church, the family cat, gets hit by a truck, then buried at the “pet sematary” and eventually returns from the dead to harass everyone and stink up the place; in that version, for a split second, Louis Creed realizes he has made a huge mistake resurrecting both the animal and people he loves, and decides to put them back where they belong. Starting with the ferocious feline, Louis leaves out some raw meat because it’s “[t]hanksgiving day for cats. But “only if they came back from the dead.” And as Church begins to chow down, Louis injects the cat with poison, thus killing it. In the remake, he can’t go through with putting Church out of his misery, and the furry, four-legged friend gets to roam the earth continuing to raise hell. Sometimes the point of a movie is subjective. 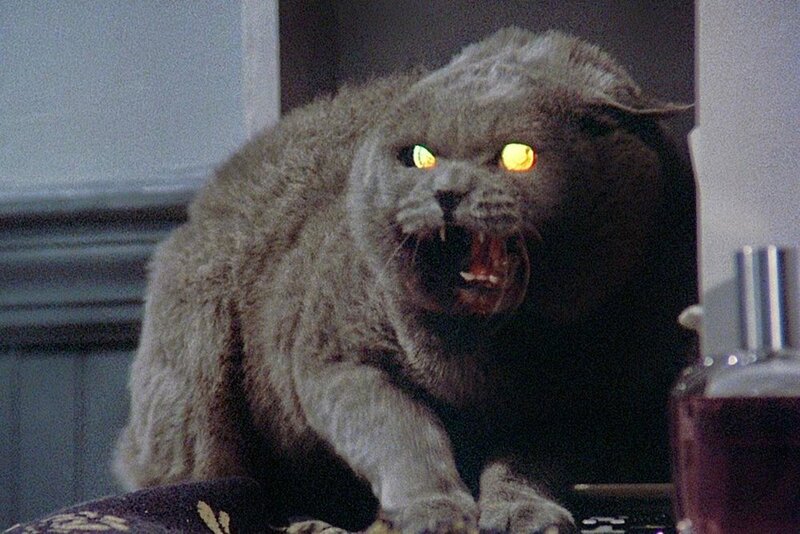 But there is a general consensus that Pet Sematary is a cautionary tale, and lesson learning is the main point. Clearly, Louis Creed, doesn’t learn his, and despite re-killing his son and cat because they were acting insane, he gives the “bring back a zombie version of my family” just one more try by resurrecting his wife Rachel. And in the end, we are to assume she kills him after limping her way out of the burial ground. What happens after that? Who knows? So the new movie attempts to explain it, except in that version, Louis appears to sort of learn his lesson; he knows that Ellie is becoming very scary and attempts to take her out, but Rachel kills him and buries him, thus repeating the cycle. And then the family joins in a squeamish, post-mortem reunion, minus Gage, who we are left to assume gets killed and buried by them as well.